In every period of human existence tragedy strikes without warning. How we respond depends on how open we are to change. 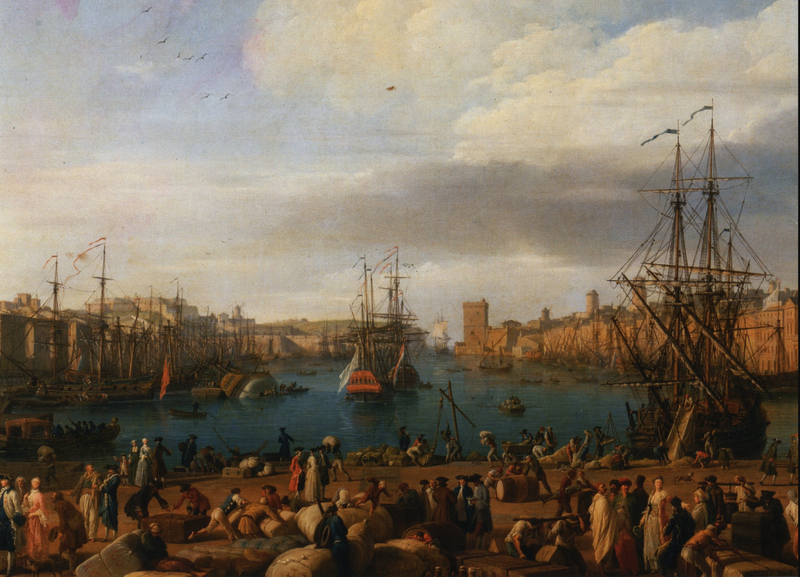 In October 1347, twelve Genoese merchant ships pulled into port at Messina, Sicily, where the dockworkers knew immediately something had gone wrong. Most of the sailors on board were dead. The Sicilians gave it the name “black death” because the ships were returning from the Crimean seaport of Caffa on the Black Sea. It would take only several years before the disease wiped out a third of Europe and changed the world in ways no one imagined. But after a period of social and economic upheaval, life recovered as the survivors relied on a number of well known survival strategies: withdrawal, acceptance, innovation, and even laughter. “The dying Tartars (Mongols), stunned and stupefied by the immensity of the disaster brought about by the disease, and realizing that they had no hope of escape, lost interest in the siege (of Caffa) on the Black Sea. But they ordered corpses to be placed in catapults and lobbed the bodies into the city in the hope that the intolerable stench would kill everyone inside. Among those who escaped from Caffa were a few sailors who had been infected. The Genoese lawyer accused his country folk of causing the disease. Soon others would take the blame. The setting for mass devastation began long before rats and fleas hopped aboard European merchant vessels. In 13th century France, the agricultural economy was unable to provide enough food for a growing population, forcing farmers to plant on barren land with inferior results. Food shortages worsened every decade so by the time the Plague reached Marseille in the mid 14th Century it spread rapidly through cities and towns. The most effective protection against disease, our own bodies’ natural immunity response, was dormant due to the rigors of extreme famine. The impact was so lethal, within two years of exposure, nearly a third of the French people died. In the small village of Digne suffered such enormous losses the population declined from over 10,000 before the Plague to 1,500 after. Within two centuries, the population growth of France from all previous centuries was wiped out and would not reach pre-Plague levels until well after the Revolution. In Rome, walls were built around the city that still stand today. Naturally, a force so destructive required something or someone to blame. Ignorance stepped in to fill in the informational black hole and it soon found flammable tinder. The melange of fear, a Christian belief that had powerful remnants of pagan witchcraft, and the lingering resentment against minority groups such as foreigners, Jews and gypsies turned them into objects of widespread persecution. The viciousness was intensified by the desire to eradicate the disease, and as people died off, the bounds of civil society were loosened like the ragged collar. When a child tells his parent a “booboo” hurts, they have no idea how history is being recalled. If there was anything comforting about the disease given its virulence and torment to the infected, it was that a person contracting the disease had a useful life of less than a week. As of today, there is still no vaccine and it still takes a week to kill. The real cause of the disease would not be known for hundreds of years to come. In 1671, a Dutch lens grinder, Antony van Leeuwenhoek, built a simple microscope. With his naturally superb vision enhanced by the instrument, he was finally able to see bacteria and single cell organisms. His microscope revealed a species of Oriental Rat flea, and led to the discovery that the rat originated in Central Asia where Mongols introduced them to Europe via the merchant ships in Genoa. What no one suspected, however, was that when the rats died, the fleas wouldn’t die with them, but wander onto human hosts. Voila, the Plague. 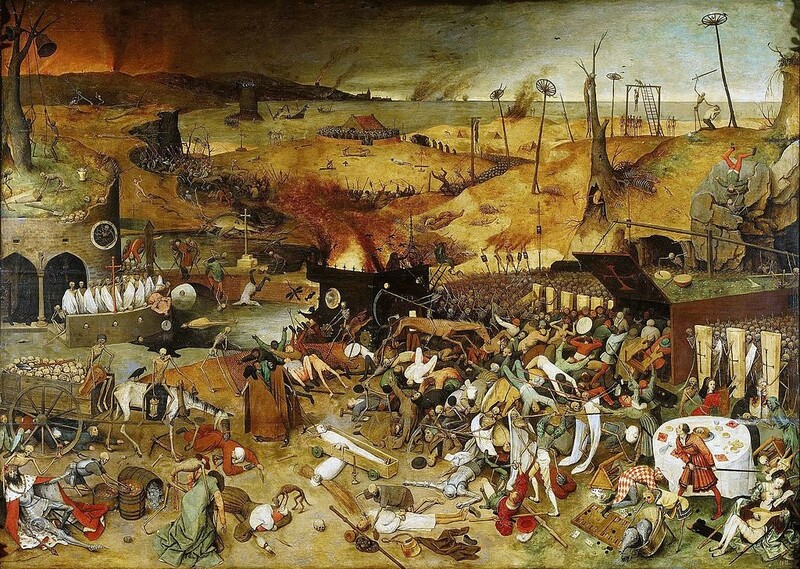 The Plague led to a series of complex and social changes in addition to economic consequences. Those who could leave their homes fled, and those who stayed behind buried the dead until they too were wiped out, and that became the rhythm of life. People were convinced touching someone or their clothing would spread the disease, so any form of affection was shunned. If you were an urban dweller you sniffed perfume as you walked the streets, hiding the smell of death. The Plague had a deep emotional effect on medieval society, and led people to worry about their ability to withstand the lingering presence of death. It provoked a variety of reactions, some unfortunate while others demonstrated the ability to rise above tragedy and to transform. In France, the Black Death was a time of unimaginable anguish, but as life was turned on its head, in many ways it improved. Scarcity of labor meant that wages rose and abundance of cheap land allowed more competition for production. Estates inherited by a handful of survivors were divided like a medieval version of condos. Spreading the wealth became de rigeur and to the Middle Ages, it felt a lot like the middle class. The changes liberated the peasantry, providing them with the means of spending more on luxuries such as meat and reducing their reliance on a pure grain diet, which gave them more strength and vitality. The land owners had no choice but to put up with these changes as the population dwindled and tenant farms were abandoned. Villages became ghost towns, forcing people to move to places they weren’t welcome so they had to learn new languages and customs. Locals who had never before met anyone outside of their village had to overcome their fear of strangers. They would confront someone by touching the passerby’s hand to detect the presence of a weapon. This eventually became a customary greeting, which today we call a handshake. Families thrived under these dire circumstances. The roles of men and women began to equalize as there were no extra hands to do chores. Working the family farm and raising children required everyone on deck. The newest status symbol wasn’t the coachman and a fancy carriage, but life itself. Hierarchical society flattened. Not only was life mobile due to moving around, but people’s status became mobile, too. You were no longer bound by where you were born but who you might become and where you might move. Imaginations were kindled for a new era. It did both to the Europeans living in the 14th Century. We need to weigh this against the devastation they suffered if we are to have a complete picture of medieval society. The Plague wasn’t anything one would wish on civilization, but along with great suffering came useful changes. Some of these will surprise you. 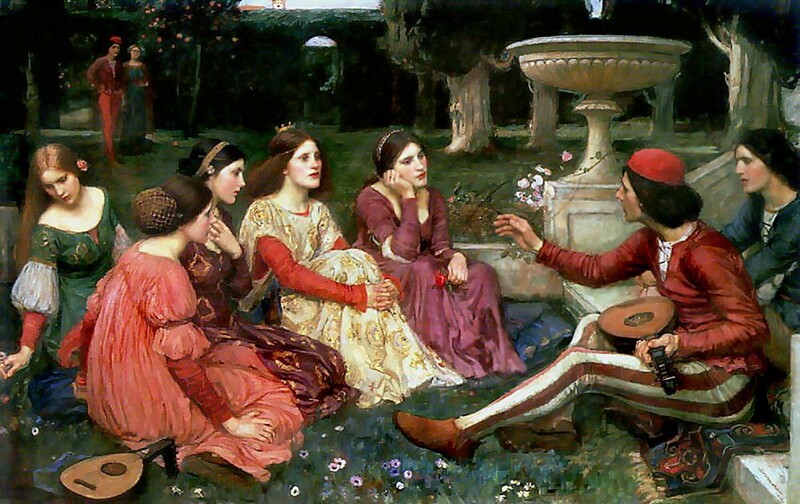 For instance, if you like the barbed skits on Saturday Night Live, you can thank the Plague or, more accurately, Boccaccio, as he was inspired to write The Decameron — the first medieval sitcom which allowed people momentary escape from the troubles. His message wasn’t aimed at courtiers but at commoners, as they were the ones suffering. Which is why he broke with tradition and wrote in the language of the street, Florentine not Latin, so everyone could enjoy it. If you enter a hospital with pneumonia, the Plague began the medical practice of isolating people with specific symptoms long before we understood infectious disease. Before then, everyone infected each other because they were lumped together. If you enjoy reading things in English (vs. Latin) or being middle class, even democracy itself, and humanism, which teaches us to rearrange mankind’s here and now so we lead better lives, then you owe a debt of gratitude to the Plague — or more accurately, the transformation it led. We don’t worry about the Bubonic Plague any longer (although there are still a few hundred reported cases in the world each year). As we think about the future, we can reliably assume more disruption is in store especially in the form of war, immigration, disease or terror. As the Medievals taught us, we need to take time to understand, analyze, and persevere against ignorance, arrogance, and resistance to truth. Above all, leaders must take account of people’s fears, as FDR did during the Great Depression. He famously said, “the only thing we have to fear is fear,” because he knew that when people are unsure about their chances of survival, base instincts kick in leading to xenophobia and panic. That is why we should ‘fear fear’ more than disruption, and use our collective intellect to figure out how to beat it. Reacting from in-group instinct blinds us to a freakish disease and wastes hundreds of years determining the real cause. By examining the troubling lessons of the past, perhaps we can skip learning them a second time.